View from Tilba Lake Camp. Photo: Tilba Lake Camp Facebook. When you think of the South Coast, what’s the first thing that comes to mind? Beaches? Sunshine? Relaxing summer holidays? How about two postcard-perfect villages that are rich in history, in an area renowned for amazing produce and are rapidly becoming boutique destinations? Welcome to Tilba, where you’ll find Central Tilba and Tilba Tilba, two tiny towns in the hinterland in the shadow of the imposing Gulaga. Tilba’s two villages just off the Princes Highway south of Narooma may be small in size but they pack a powerful punch. You’ll find charming colonial architecture, boutique shopping opportunities, lush pastures, amazing food and a stunning heritage setting. If you watched the River Cottage series on TV, Tilba may look familiar because it was the setting for the show. 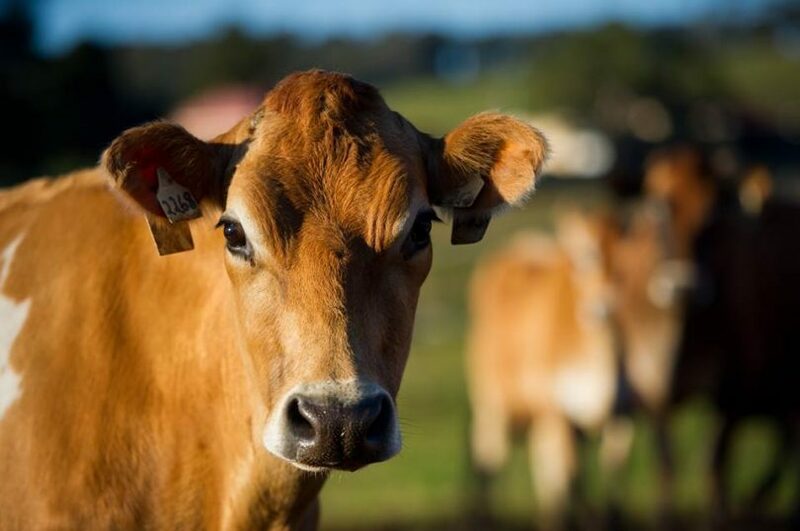 Visit the ABC Cheese Factory in Central Tilba, It operated from the late 1800s until 2006, and now produces award-winning cheese, yogurt, milk and cream using milk from two local dairy farms. It’s now the home of Tilba Real Dairy. Enjoy a living snapshot of 19th century Australia as you stroll around the villages soaking up the history. Get shopping – the preserved weatherboard shops of the main street house a charming selection of art and craft, gourmet produce, antiques and curios. Drop into the Tilba Growers Market on Saturday mornings and snap up fresh local produce, then find a quiet spot (there’s no shortage of them) and enjoy a gourmet picnic. Hop in the car for the short drive to the Tilba Valley Winery and visit the cellar door or kick back in the garden and enjoy a bite to eat with your wine. The winery often holds cultural events, including a regular program of Sunday lunch with live music. 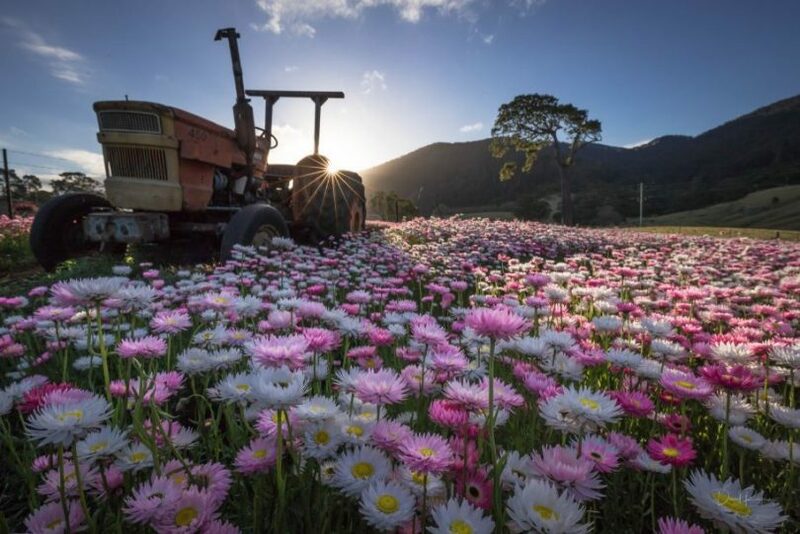 Take a look at the superb Australian Everlasting Daisies at Mountain View Farm. Explore Gulaga (Mount Dromedary). Guided walks by local Yuin people are available, but self-guided walkers are welcome. There are tracks to the summit where you can enjoy spectacular views that take in the coast and headland. It’s a food-lovers’ paradise, with a swag of tasty treats from divine handmade chocolates to country-style pub grub and everything in between. The best of nature is on show, and the scenery is just spectacular. The magnificent Gulaga overlooks the region and the ocean is not far away. There’s a treasure trove of delightful little shops stocked with quality items that are perfect for picking up a gift for a loved one or treating yourself. The heritage towns are the ideal place to soak up some history and while away some time kicking back and taking in the colonial architecture. One of the girls from Tilba Real Dairy’s 100 per cent jersey flock. Photo: Tilba Real Dairy. The Tilba region is just a short drive off the Princes Highway south of Narooma and is well signposted. Tilba hosts several events during the year which offer a great opportunity to meet the locals and enjoy the buzz around the towns. The Tilba Easter Festival happens each year, featuring food stalls, buskers, live entertainment, and a fantastic parade. The Tilba Markets happen every Saturday morning at Central Tilba, and with a theme of Make it, Bake it, Sew it or Grow it, you’ll be helping support the region’s growers. It’s the place to find locally handcrafts and produce including fruit and veg, bread, sweet treats, jams, flowers, food and art. 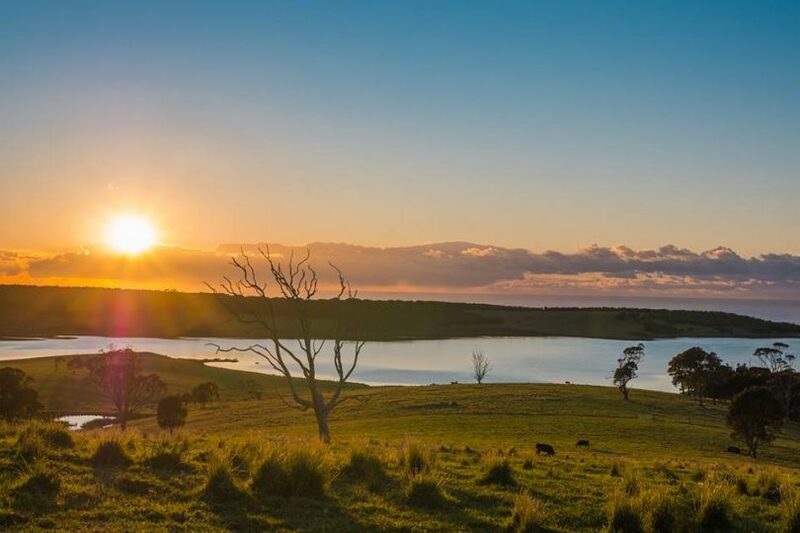 Duration: Tilba is around a three-hour drive from Canberra, or an hour from Batemans Bay, making it an ideal day trip destination if you’re already at or near the South Coast. Distance from Canberra: 230km each way. There’s lots to love about Tilba. Do you have any favourite coastal hinterland destinations?